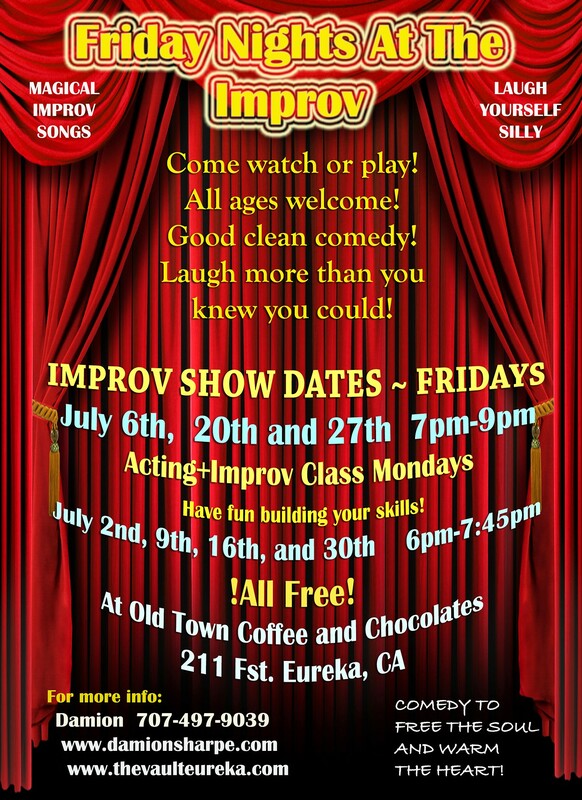 A fun filled Friday night of improv magic: Improv songs, scenes, games, stories, and laughs. Come watch or play! all ages clean comedy! come get a treat, dinner (grilled cheese or a wrap or? 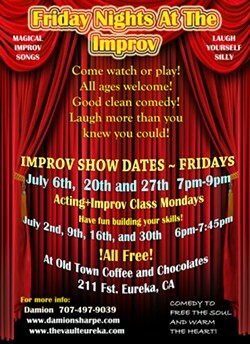 ), and a drink from old town coffee, then sit and be entertained! fun and laughter for all!